Fiat has confirmed that is working on a new crossover version of the 500, which is expected to arrive in the UK in 2015. Prototypes have already been spotted and point at a car similar in shape to the 500L (pictured) albeit with an increased ride height. The new model is expected to be more rugged in its appearance, with black plastic side mouldings, similar to those on the Panda Trekking along with an increased ride-height. It's also likely that there will be a three door model with a lower roofline, which would give it an appearance similar to that of the MINI Paceman. 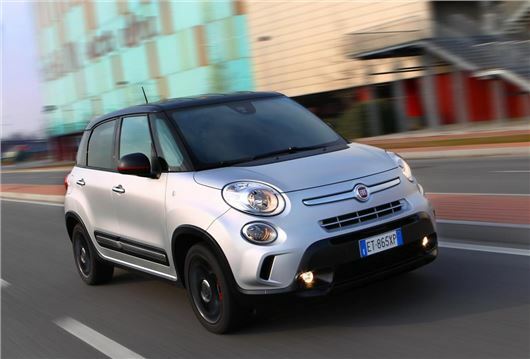 Nothing has yet been confirmed by Fiat but the engine range is likely be very similar to that of the 500L family. That means 1.6 litre MultiJet diesels, a 1.4 litre T-Jet petrol and a higher power output version of the 0.9 litre TwinAir with 105PS. Fiat has previous experience with all wheel drive small cars like the Panda 4x4 and Seidici, so there will probably be an all-wheel drive version, but as with all small crossovers the majority will be front wheel drive. As with similar vehicles like the Renault Captur and Peugeot 2008, the 500 Crossover will be pitched at more style conscious buyers who want rugged looks but none of the complexity or capability of all wheel drive. The 500 crossover will give Fiat a more direct rival to the MINI Countryman and Paceman, setting the family oriented 500L and 500L MPW apart from current MINI offerings. Given the sparsity of details currently available about then 500 crossover, it's not clear when it'll arrive in showrooms or how much it'll cost, but it'll probably make its debut at the Paris Motor Show in September 2014.